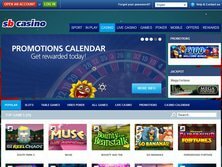 Sportingbet Casino displays an entire calendar of exciting promotions. The players will also be able to enjoy a wide variety of interesting NetEnt games! A live & mobile casino format is especially useful in a day when there is so much competition in the online casino world. The design of the website doesn't disappoint either. It appears that a lot of effort went into creating a player-friendly site. Every player can get rewarded by following the instructions on the website. In fact, the promotional offer deserves to be examined more closely. It is easy to notice the various cashback deals that are associated with specific games. For example, the Glow game offers 25% in return. The same type of cashback is provided to Live Blackjack and Live Roulette players. In terms of major deals, the Sportingbet Casino Bonus deal offer includes a 400% up to €40 welcome bonus. The first deposit is also rewarded with 40 free spins, although the deal is limited to Starburst players. The website even includes deals that provide 50% more for specific games and other promotions. Its deal offer isn't as good as what can be found on top casino sites. However, it is still fairly decent. It appears that the website can provide a high standard of security as well as plenty of payment options. The main payment methods would include; Visa, MasterCard, Maestro, Ukash, Neteller, Delta, Skrill, Przelewy24, and a few others. The registration process is very straightforward. Only a few basic details are required from the player. Once the process is completed, a deposit unlocks the riches that are available inside the online casino. Sportingbet Casino is very accessible for players who speak various languages including; English, French, Romania, Swedish, Bulgarian, Croatian, Czech, Danish, Hungarian, Italian, Norwegian, Polish, Portuguese, Spanish, Greek, Romanian, Russian and German. The players from certain locations won't be able to play for real money. Here is the list of just some of the countries with access restrictions; France, Norway, United States of America, Israel, Singapore, Netherlands, Belgium and Spain. The site is especially appealing to players from Europe. A few games have been highlighted by the staff. They would include; Starburst, Twin Spin, Gonzo's Quest, XXL Roulette, Immersive Roulette, Rich Wilde Pearls of India, Mega Fortune, Fruit Shop, Roulette Live, European Roulette, Jack Hammer 2, Fruit Case, Aloha! Cluster Pays, Blackjack Live and Black Jack European. The website hosts plenty of variations of the Roulette & Blackjack game. Jackpots are another highlight here. 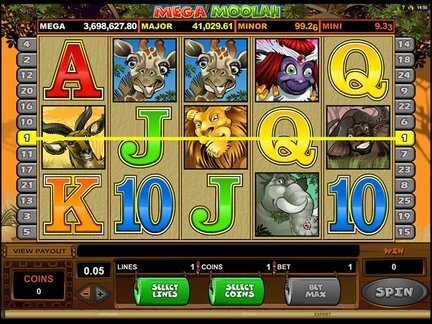 The titles from that category would include; Mega Fortune, Hall of Gods, Arabian Nights, Mega Moolah, Mega Joker, Keno, Cosmic Fortune and Major Millions. The low payouts are a problem. According to some players, the chance of winning anything is low. However, the negative opinion stands in contrast to the positive outcomes that are revealed by other players. So it is important to take both views into consideration, preferably making a small deposit at first. For some reason, the website apparently appeals to a lot of high rollers. The online casino is licensed by several authorities, mainly the Kahnawake Gaming Commission, UK Gambling Commission and Danish Gambling Authority. Each of the licensing bodies has a good reputation in the online casino world. The casino itself was established in 1998. It's been running for a long time and increasing its traffic. I would like to see better winning odds. I would also prefer to see more deals inside the promotions section. In terms of the games, I am largely satisfied with the offer. The live games are incredible! Some of the highlighted games are also highly entertaining. The fact that they come from good providers like NetEnt makes the casino more credible. I could recommend the casino. However, I would also be a little cautious with making large deposits, especially in the beginning.